With participation from more than 20 of the original and current mission scientists, engineers, and team members, The Farthest – Voyager in Space tells captivating tales of one of humanity’s greatest achievements in exploration. From supermarket aluminum foil added at the last minute to protect the craft from radiation; to the near disasters at launch; to the emergency maneuvers to fix a crucial frozen instrument platform, viewers get a sense of how difficult—and rewarding—space exploration can be. Featuring a soundtrack of evocative period music including songs from Pink Floyd, stunning cinematography, vivid CGI animations of Voyager traversing the solar system, and original groundbreaking photographs taken by the twin spacecraft, the film tells the story of one of humanity’s most ambitious scientific endeavors. Voyager revolutionized planetary science, resolved key questions about the outer planets and raised intriguing new ones about the evolution of our solar system. Originally approved to travel only to Saturn and Jupiter, the spacecraft used gravity-assisted slingshot trajectories to take advantage of a once-in-176-year planetary alignment to extend their missions, with Voyager 2 also extending its mission to visit Uranus and Neptune. The spacecraft, equipped with a fraction of the computing power of a modern cell phone, sent back unprecedented images and data from all four outer planets and many of their moons. As they continue their journey into interstellar space, they carry with them a literal record of our existence that may outlive us all. Sagan was one of the masterminds behind perhaps Voyager’s most iconic feature, The Golden Record, which carries greetings, music and images from Earth to intelligent beings they may one day encounter. The Farthest – Voyager in Space reveals how this famous record was created and how it presents humanity to any creatures that may find it. 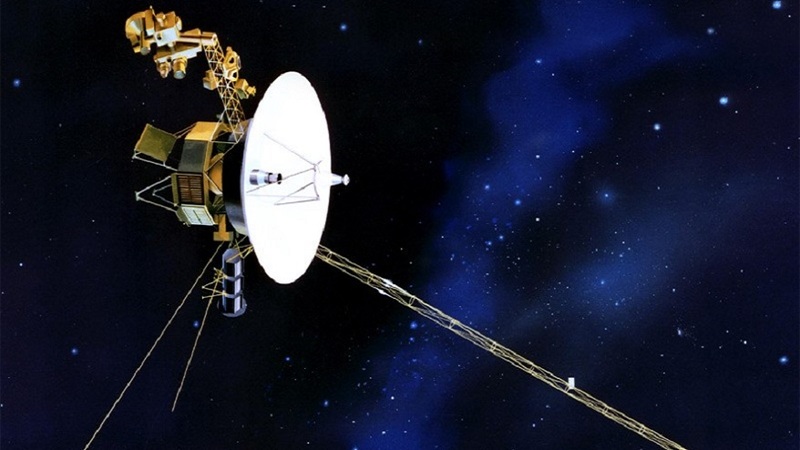 Four decades after they left Earth, Voyager 1 has traveled more than 12 billion miles, and Voyager 2 more than 10 billion. Both nuclear-powered spacecraft continue to send back data. In 2012, Voyager 1, which is traveling at more than 320 million miles per year, became the first human-made object to enter interstellar space—leaving our solar system behind and ushering humanity into the interstellar age.